I love this idea for easily changing out students' work! The clothespins with tacks on the back make it so easy to do this. I might make a cute name or number tag to add to the front of the clothespin. I still haven't decided if I will use the cute Target clothespins I bought in the Dollar Spot, or if I will Mod Podge paper onto plain clothespins. I love the idea of using square cardstock to back the students' work. I can have a parent volunteer change out the students' work for me. The bright colors are so adorable! I love this idea too! 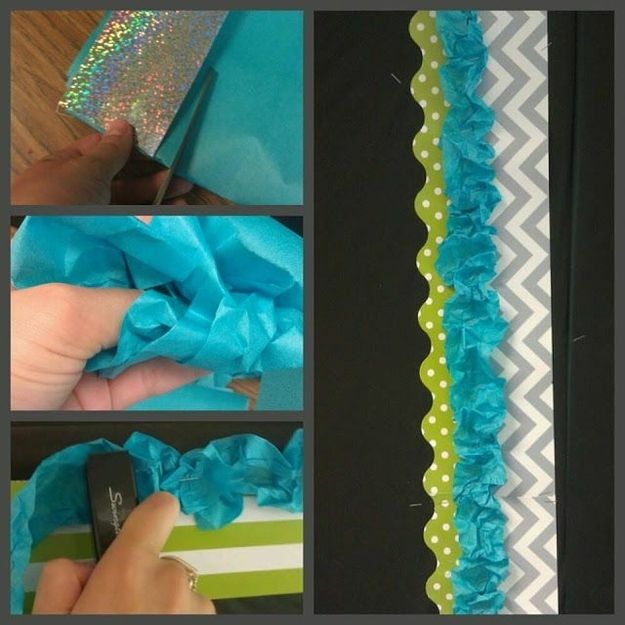 There aren't extensive directions when you go to this pin, but the picture is self-explanatory- it looks like the tissue paper is scrunched and stapled to the border. The possibilities for your borders is endless! I might even try adding thick ribbon. I love how the fabric ties the two borders together. I'm definitely doing this! This last pin is for my kids. OK, I might have to try this too! 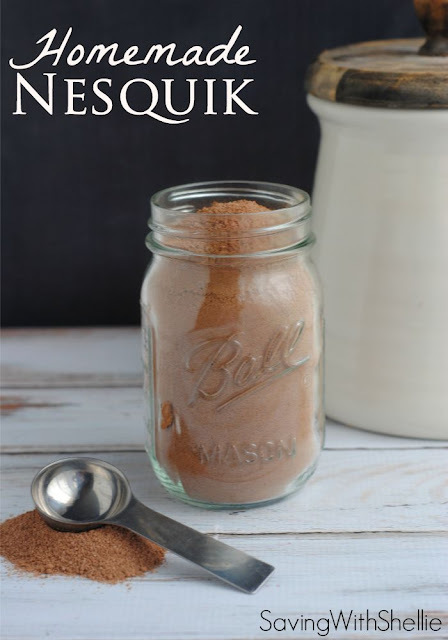 This homemade Nesquik looks easy to make with none of the "junk" in the storebought kind. I think I might have to go make this right now just to see how much it tastes like actual Nesquik! The directions even suggest adding a spoonful to your coffee- yum! Now it's your turn! We would love for you to link up and share your top three Pinterest Pins for July! This linky is hosted on the third of each month- so come join in on the fun! Download the graphics below to add to your post and link up! For our July Pick 3 Pinterest Party, feel free to link up your favorite recipes, home decor, and any other favorite non-teaching and teaching pins! I have used the writing board a couple years ago. It was a true life saver at the end of the school year. I may have to try the Nesquick recipe too! My kids love that stuff. I love the pretty border idea! My daughter needs that homemade nesquik. I really don't know what I did before Pinterest!! How genius the push pin on the clothes pin! Love that so much! 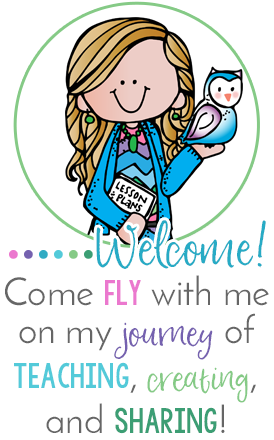 Thank you for the great pins and for hosting this awesome link up each month! I loved Nesquik when I was a kid. Totally going to check that out. Thanks for sharing. I love the clothes pin idea - and how easy! How is it that I never thought of that? :) Thanks for the great ideas and hosting too! Cute, cute border idea! The homemade Nesquik is probably much better for you. Thanks for sharing such good ideas and for your monthly linky! I love the bulletin board idea! I think I am going to try it! 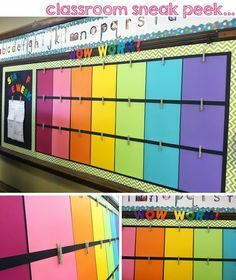 Great bulletin board ideas! I love them both! Definitely re-pinning! I've made bulletin boards like that in the past but not with the extra borders. I took the colored butcher paper and then cut in into strips. Then I crumpled it up and stapled it just like the picture shows. It did look great but I love the idea of adding it into between two borders! Thanks for sharing your pins and letting us link up as well. OOOOO the homemade Nesquik looks sooo yummy! 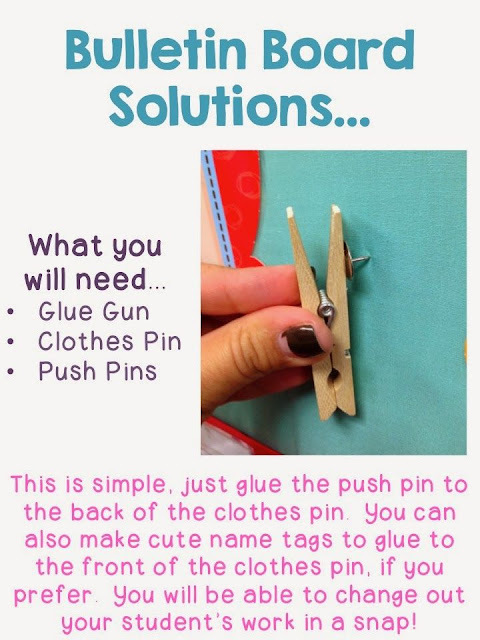 On my bulletin board, I use paper clips and slide sheets up, but the clothespin idea looks fun, too! Especially if you add a cute tag.